Social anxiety is a serious condition that I am passionate about helping clients to manage. The news and society frequently pay no regard. 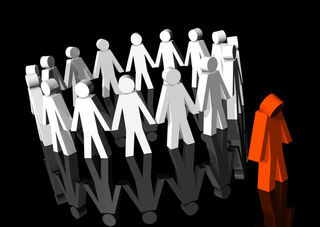 My experience counselling social anxiety has shown that the talking therapies can be very successful. Counselling aims to raise awareness of oneself and empower the client to choose change. Awareness is so important to us as human beings. Without it, we can find ourselves meandering through life wondering why we don’t seem to have much control. However, once we are able to start noticing how we are feeling or checking that what we are about to do/say is what we want – then we have choice. With choice, we can choose a different course of action. In the case of social anxiety this can take time. Generally, I find that clients need to build up to choosing change at their own pace. They need to feel sufficiently fed up with living within the constraints of social anxiety that change becomes the favourable option. At this stage of counselling, there will be great trust in the relationship with the counsellor. It will be feeling safe enough to discuss things that have not felt possible until now. The openness and ease of sharing these parts of one’s life is where the understanding and potential change lies. This is the time, as hard as it may feel, to become fully committed. Supported by your counsellor, you have the opportunity to explore unreached parts of yourself. The opportunity to break free and become the person you would like to be. My article, published on the Counselling Directory website can be read here. In it, I discuss counselling social anxiety in more detail with the hope that more people may be inspired to conquer this major mental health condition. Please contact me directly if you would like to discuss any aspect of counselling social anxiety.